McQ's Best Of...: McQ's Best Of 2017 Vol 18 - Nancy's Favorites! We conclude our 2017 mix collection with this year's edition of Nancy's Favorites. There are a few repeats here from the mixes that have come before, but as always, it's an amazing listen. So until next year, enjoy! 1. 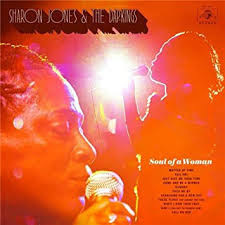 Sail On - Sharon Jones & The Dap Kings: Nancy might have loved the recently departed Sharon Jones even more than I did, which is saying something! Given that, there was no way Nancy wasn't including something from Sharon's last album with the Dap Kings, Soul Of A Woman. 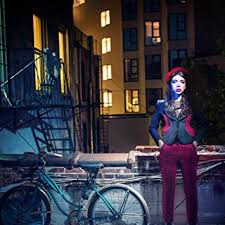 And, as is the case with just about every selection on Nancy's mix, it happens to be that album's very best song. 2. Brokedown Luck - Nicole Atkins: Speaking of best tracks from an album, our third and best inclusion from Nicole Atkins' Goodnight Rhonda Lee, the magnificently Dusty Springfield-ish Brokedown Luck. 3. 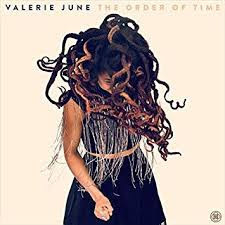 Got Soul - Valerie June: As stated earlier, because Nancy got a late start putting her mix together, there are a few repeat selections from our earlier 2017 mixes, starting with The Order Of Time's so likable closer Got Soul. 4. 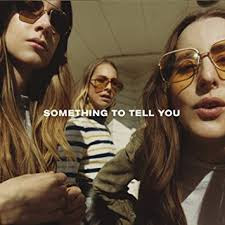 Want You Back - HAIM: HAIM's 2017 sophomore-slump effort Something To Tell You left a lot to be desired, but amid all the substandard material were a couple of tracks like Want You Back that reminded everyone of what they fell in love with when the band first burst out of the gate in 2013. 5. 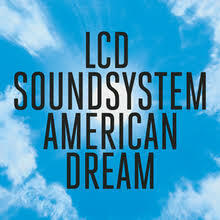 Call The Police - LCD Soundsystem: American Dream's most popular track is a clear stylistic call back to the band's most popular song of all, Sound Of Silver's All My Friends. 6. 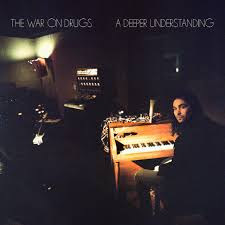 Nothing To Find - The War On Drugs: Now we enter the "caught 'em at Coachella 2018" stretch of Nancy's mix, and this, the liveliest, most Springsteen-y track from The War On Drugs' A Deeper Understanding, was one of the best single song performances Nancy and I saw at the festival, until the band topped it just a few songs later with a remarkable version of Lost In The Dream's Under The Pressure. 7. 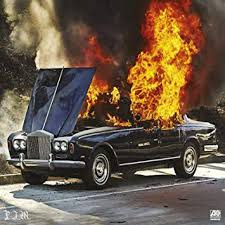 Feel It Still - Portugal The Man: Coachella 2018 might as well have been Chernobyl as far as attendance at the event's rock shows was concerned, with two notable exceptions - Led Zeppelin near-parody act Greta Van Fleet, and Portugal, The Man, who rode the success of this monster single from their 2017 release Woodstock to one of the 2018 festival's biggest Main Stage crowds. 8. 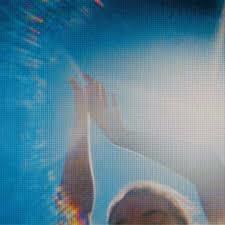 Last To Sleep - Fazerdaze: This delightful lo-fi bedroom-pop/C86 number comes to us from New Zealand's Fazerdaze (aka Amelia Murray) and her full-length debut album Morningside. 9. 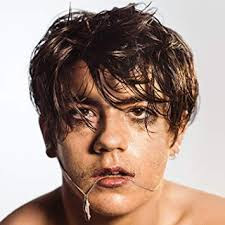 Brazil - Declan McKenna: The final Coachella 2018 selection on Nancy's mix comes from England's boyish pop charmer Declan McKenna, who put on a winning show for us with this hit and many other tracks from his 2017 release What Do You Think About The Car? 10. 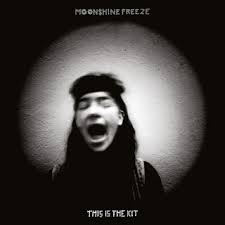 Two Pence Piece - This Is The Kit: Nancy's next favorite is our second song selection (the other appearing on Vol 2 - Hush) by English folk-rockers This Is The Kit and their compelling, low-key 2017 release Moonshine Freeze. 11. 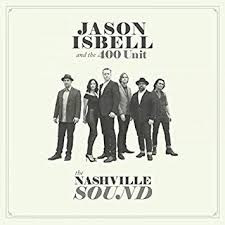 Something To Love - Jason Isbell and the 400 Unit: The first of three tunes Nancy has selected from Jason Isbell and the 400 Unit's The Nashville Sound, Something To Love is inspiration, inspiration, inspiration all the way. 12. 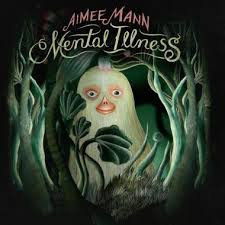 Rollercoasters - Aimee Mann: Nancy and I recently caught Aimee live in tandem with Jason Isbell, and this track from Mann's 2017 release Mental Illness was Nancy's favorite song from the show. 13. 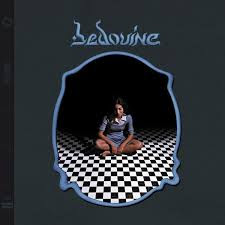 Nice And Quiet - Bedouine: Under normal circumstances, thirty-two is usually viewed as a very late age to start a recording career, but in the case of Bedouine's Azniv Korkejian it sort of makes sense. Born to Armenian parents in Aleppo, Syria, she had an itinerant childhood that included stops in Saudi Arabia and all over the United States before the family finally settled in Los Angeles. From there, Korkejian began a career as a sound designer / music editor for feature films (last year's The Big Sick ranks amongst her credits) before gradually meeting a series of audio professionals who encouraged/helped her to pursue a recording career. This lovely track, the opener to her eponymous debut, is emblematic of the gentle, mature Natalie Prass-flavored folk and alt-country that informs the album. 14. If We Were Vampires - Jason Isbell and the 400 Unit: Despite the unusual title, Nancy's second selection from The Nashville Sound - also the album's most critically celebrated track - cuts to the heart of how precious our time with our loved ones really is like few songs in recent memory. 15. 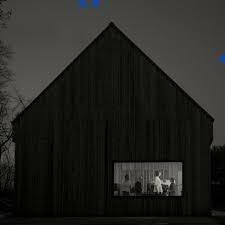 Carin At The Liquor Store - The National: This song from National's Sleep Well Beast was already reviewed in our Vol 3 - The Usual Suspects. 16. Long Lonely Road - Valerie June: One last cut from Valerie June's The Order Of Time, which was to both Nancy and I's ears the best roots-rock/folk album of 2017. 17. 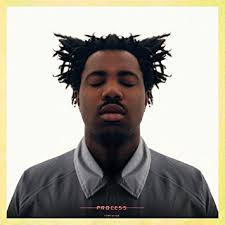 (No One Knows Me) Like The Piano - Sampha: This sad, lonely song of loss - the emotional centerpiece of Sampha's debut Process and one of the very best songs of 2017 amidst all these best songs of 2017 - was written shortly after the passing of the artist's mother. 18. Rican Beach - Hurray For The Riff Raff: Another winning number from the New Orleans-based Hurray For The Riff Raff's breakout album The Navigator, Rican Beach is an impassioned protest song with a science fiction premise, one in which lead-singer Alynda Segarra imagines a New York future where all the city's ethnic neighborhoods have been gentrified out-of-existence, stranding their-one-time-residents citizens on a destitute strip of beach outside the borders of the city they had at one time helped create. 19. White Man's World - Jason Isbell and the 400 Unit: "There's no such thing as someone else's war / Your creature comforts aren't the only thing worth fighting for." That might be the best (not to mention best sung) political lyric of 2017, from one of the year's most pointedly direct and timely protest songs. 20. Bamako - Songhoy Blues: If you wanted to truly get funky in 2017, you had to look to the Africa. And no African band brought the funk better in 2017 than Songhoy Blues on their sophomore effort Resistance. 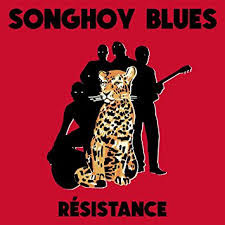 This song, named after the town in which this young, protest-minded Malian Blues outfit met and formed before having to flee after the imposition of Sharia law, is, surprise, the album's best. 21. 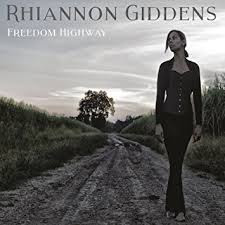 Freedom Highway - Rhiannon Giddens: Nancy has chosen to conclude her mix, as well as our 2017 collection, with this rousing cover of the Staples Singers' 1965 classic, which also serves as the title track to country-folk star and Carolina Chocolate Drop's front-women Giddens' excellent, multiple-award-winning second solo release.